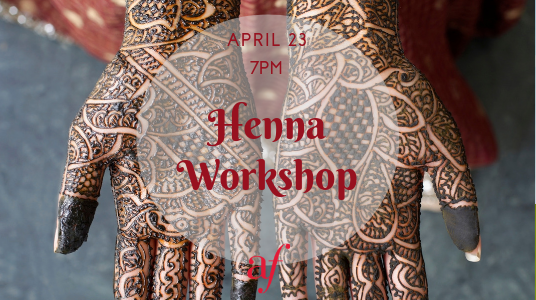 In this cultural workshop, guests will learn about the uses & history of henna across the African continent. Henna has been used since antiquity to dye skin, hair and fingernails, as well as fabrics including silk, wool and leather. Guests will also get a hands-on (literally!) experience and a henna tattoo from our superstar instructor Monica Smith from Atlanta’s House of Henna. This workshop will be moderated by Nadia Rahali.